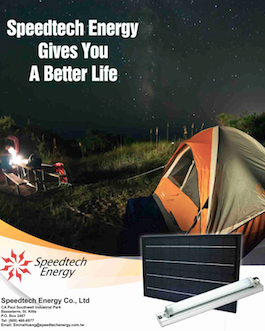 Speedtech Energy's Solar Kit is a basic home lightning system that can also serve as a portable devise. 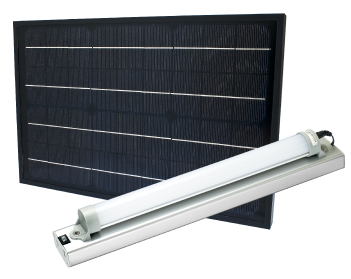 The solar kit comes in a variety of design and combination, but the concept is always the same: One solar panel charging 1, 2, 3 or 4 DC LED tubes with an integrated lithium battery. 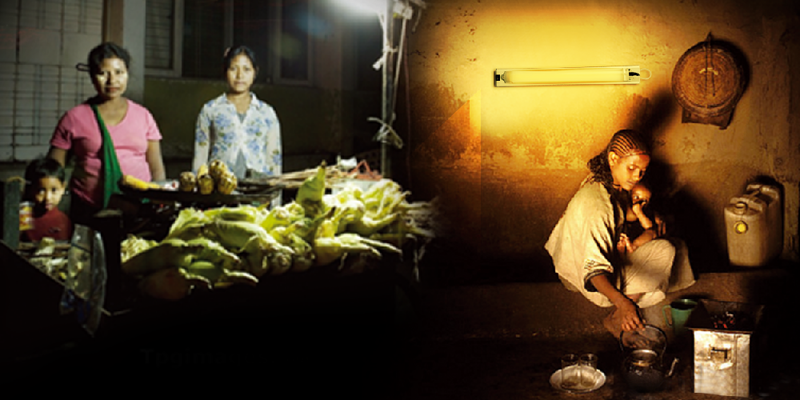 The tube(s) can be used for lighting. In the day time, before the user goes to work, he can connect the LED devise to the panel. At night time, when the user comes home, he will disconnect the tube(s) and for use inside the home or outdoor. The kit comes in a handy box and includes hangers for the walls. The kit is not only a lightning set. 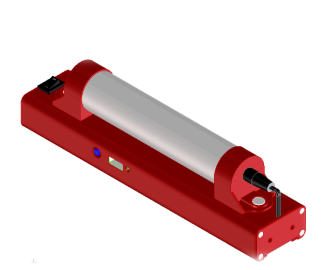 The tube(s) have a USB port and can be used as a power bank for charging cell phones. 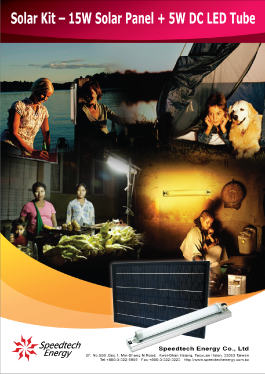 The kit can also includes an individual charger to charge a cell phone directly through the solar panel.